If you are already playing our sandbox game, you have probably noticed yesterday's 0.5.6 update. It includes improvements to ease the onboarding of new players (beginnings of a hint system), further survival balancing such as increased inventory and the newly added sleeping bag for making camp anywhere you like. There are important bug fixes. The automatic transmission finally works as intended and you can climb steep hills in your vehicles again! You can also use your vehicle to run over trees and bushes as they have their HPs set correctly. You can put Emergency 3D Printer on your vehicle now that it has a correct weight. All these changes now have priority over new content to secure the future for Planet Nomads and make the game enjoyable. Balancing survival is an ongoing process so if there's something still bugging you, let us know on the forum. We've been focusing a lot on polishing the game for launch next Thursday and you guys are interested in the future and want to know what happens next. We are too! 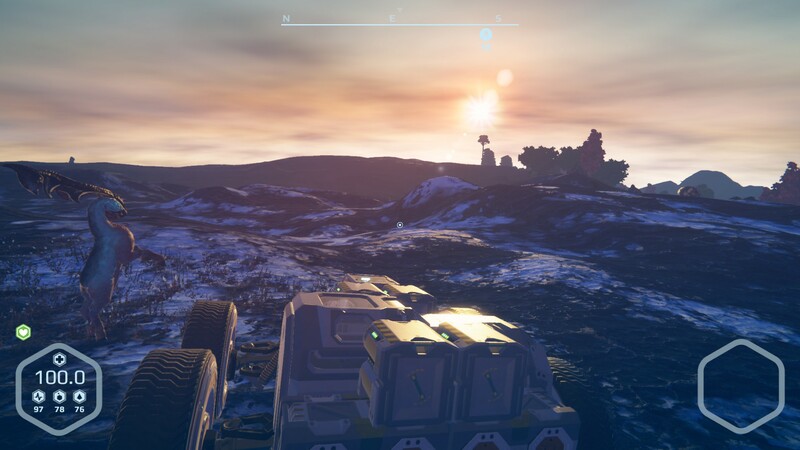 We know where we want to take Planet Nomads, and some clues can be found in the list of upcoming features in the Early Access part of PN's Steam page, but how and when we get there all depends on so many variables and what happens after launch that speculating at this point seems pointless and we hate empty promises. What parts of the game will people like? Is there something game breaking that needs to be fixed/improved/changed and requires our full attention? What are the players saying? Fortunately we will know that very soon. On Thursday 25th Planet Nomads launches publicly and the launch weekend will tell it all. We will then have a series of discussions and meetings and let you know about the future of Planet Nomads and the next steps of its development. In seven days it happens. Don't forget to tell your friends and your favorite Youtuber! Carladius has already been roaming around the planet and taking pictures such as the one below. He's streaming these adventures on his Twitch channel.